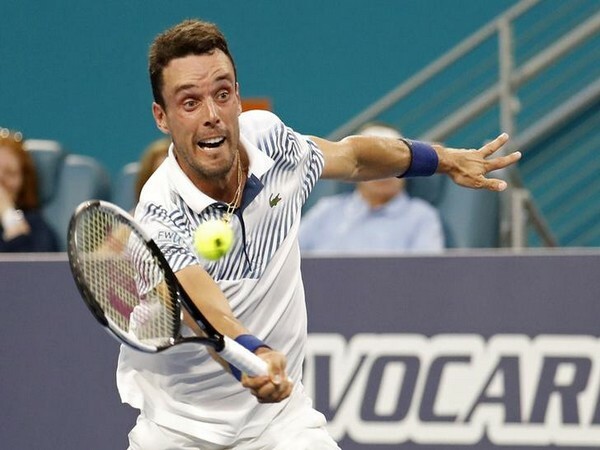 Miami [US], Mar 27 (ANI): Roberto Bautista Agut pulled the biggest upset in Miami Open as he defeated Novak Djokovic 1-6, 7-5, 6-3 on Tuesday (local time) to reach the quarter-finals. Monte Carlo [Monaco], Feb 19 (ANI): World number one tennis player Novak Djokovic won the Laureus World Sportsman of the Year Award on Monday. Melbourne (Australia), Jan 28 (ANI): Newly-crowned Australian Open champion Novak Djokovic is focused on continuing to improve his game and get closer to Swiss tennis star Roger Federer ’s record of 20 Grand Slam titles. Melbourne (Australia), Jan 27 (ANI): World number one Novak Djokovic clinched his record seventh Australian Open title with a straight-sets win over Rafael Nadal of Spain in the summit showdown on Sunday. Melbourne (Australia), Jan 25 (ANI): World number one Novak Djokovic will be up against Spanish tennis ace Rafael Nadal in the title clash of the Australian Open and the former has assured that they both are going to give “absolutely everything on the court”. Melbourne (Australia), Jan 25 (ANI): World number one Novak Djokovic stormed into the final round of the Australian Open after registering a straight-set victory over Lucas Pouille of France in the semi-final clash of the men’s singles event here on Friday. Melbourne (Australia), Jan 23 (ANI): World number one Novak Djokovic on Wednesday cruised into the semi-final round of the ongoing Australian Open as his Japanese opponent Kei Nishikori retired in the second set of their quarters clash due to an injury. World number one Novak Djokovic entered the quarter-final round of the ongoing Australian Open after edging past Daniil Medvedev of Russia in their round of 16 clash of the men’s singles event here at the Rod Laver Arena on Monday. Melbourne [Australia], Jan 17 (ANI): World number one Novak Djokovic edged past Jo-Wilfried Tsonga of France to advance into the third round of the men's singles event of the ongoing Australian Open at the Melbourne Park on Thursday. Melbourne [Australia], Jan 15 (ANI): World number one Novak Djokovic started his campaign at the Australian Open with a thumping win over Mitchell Krueger of the USA at the Rod Laver Arena on Tuesday. London [UK], Jan 10 (ANI): Twenty-three times Grand Slam champion Roger Federer and Spanish tennis ace Rafael Nadal are in the same half of the Australian Open draw. The top seed of the tournament Novak Djokovic, on the other hand, has got Alexander Zverev of Germany in his draw.